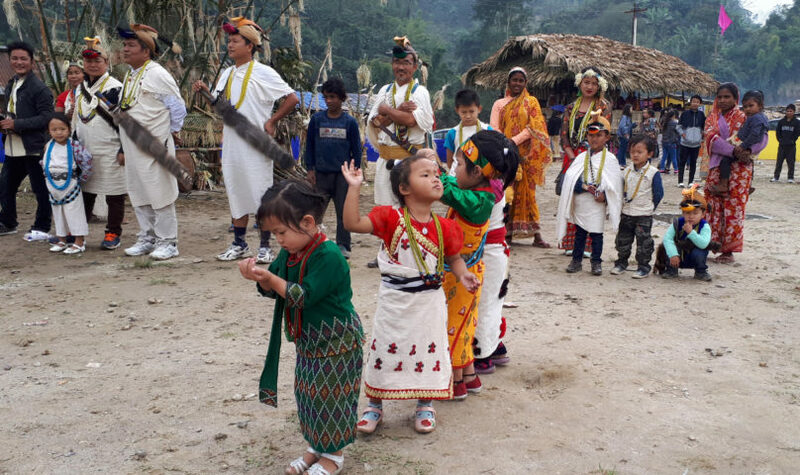 The Unying festival concluded in Arunachal Pradesh on Wednesday with a call for preservation of age old ‘Adi miris’ (song). Lauding the organizers for reviving Unying celebration with Tapu dance and Sobo-Monam, Pangin-Boleng MLA Tapang Taloh said that it is high time the locals kept their original Miris. He urged the younger generation to learn traditional ‘miri abangs’ and not to be swayed with modern songs and drinking only during local festivals. Stating that Siang is a new district, Taloh called upon all to be united and cooperate for developmental activities in the district. Siang ZPC Opung Jerang emphasized on maintaining cleanliness and hygiene in the villages with separate pig sty’s and toilets. Citing Swachh Bharat Abhiyan, she also called for constructing individual household toilets. Highlighting the tourism potentials of the district, District Tourism Officer, TK Kopak said eco-tourism and cultural tourism are the main attractions of Saing district and all should give in their bit for development of tourism in the district so that all could gain from the tourism industry. The war dance competition among troupes of various villages of the district was the main attractions of the day other than the Tapu dance. Tourist and documentary filmmaker Sanjeev Monga who is filming the tribal culture in the area shared that the festival is perfect and a unique one but needs development of home stays to accommodate tourists.